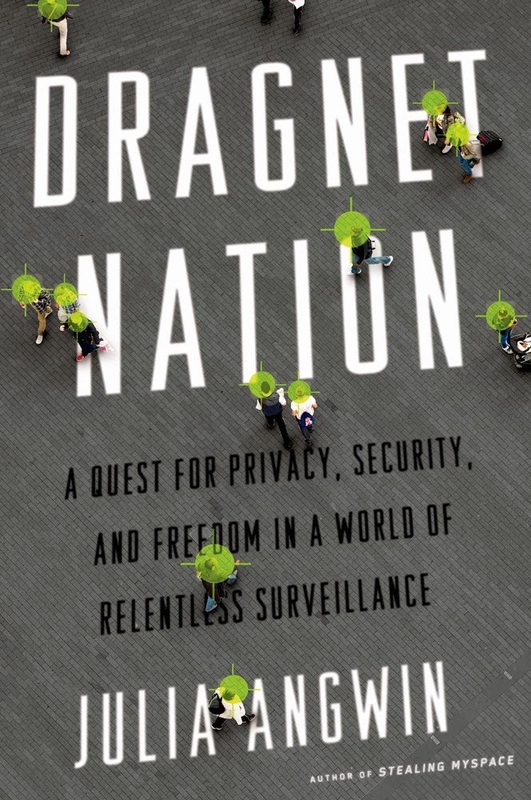 Dragnet Nation: A quest for privacy, security and freedom in a world of relentless surveillance was released this week. Our daughter, Julia Angwin, wrote this book. The book is about Internet surveillance, and how (if possible) to avoid it. When we think about how our data is transmitted on the Internet, many of us think that data tracking is something mild and benign. We think it is something like the way Amazon keeps a list of authors we read, and lets us know when one of our authors has a new book out. That mental model is sweet but completely inaccurate. There are at least 200 "data broker" companies building data profiles of people's activities on the Internet. They compete to sell this data to merchants, and will also share it with the government. Most of them won't let you see or correct your own data. On Fresh Air (NPR) two days ago, Julia described how she tracked down some data broker companies and asked to see her data. Most refused to show it. She did get to see some of her data. Some files were frighteningly accurate (her college dorm room number) and some files were completely inaccurate (she is not a single mother with only a high school education). The company with the most inaccurate data about her was planning to sell this data to hospitals for "alternative credit scoring." By law, traditional credit evaluation companies are required to share their data with you and allow you to correct it. Data brokers are under no such laws. They own your data. You have no rights to it. And think about this: your smart phone is always in contact with the nearest cell tower. Your phone is a location device, locating....you. You can be tracked through your smart phone. Despite its difficult topic, the book is enjoyable to read. Julia decided to try to opt out of the surveillance. She describes some things that worked, and some things that didn't work. Keeping her smart phone in a Faraday cage so she couldn't be tracked: this sort of worked. She couldn't be tracked, but she couldn't be called. Many of her strategies backfired in similar ways. If you are in the system, you are in it. Powerful passwords are useful, though not against surveillance. However, there are still ordinary hackers out there, trying to steal your data. Her search for strong passwords led to me being mentioned in the book. Making a strong password is a fairly time-consuming process. Julia taught her daughter (our granddaughter) a system to make passwords, and paid her $1 for each password she created. I didn't know about this. Our granddaughter came up with the idea that this password thing could be a cool little business. Out of the blue, my granddaughter emailed me to say that she could make passwords for me at $1 per password. This was one weird email, from my point of view. I grew alarmed and sent an immediate email to Julia. Julia reassured me the email was legit: my granddaughter really was setting up a little password business in the family, based on Julia paying her $1 per password. Enterprising kid. This incident ended up in the book. Julia has suggestions for at least partial protection of your on-line identity. You can find out more by buying Dragnet Nation or by going to the privacy tools section of her website. If you want to see the opposite of privacy, you can always go to her website section on Stasi files (East German Secret Police) files on spying on social networks. A short Wall Street Journal video clip about helping kids avoid digital footprints. WSJ article: How to Protect Your Kids' Privacy On-LIne. Marketplace: Trying to go off the grid. Completely. Yes, George and I are very proud of Julia! You can’t begin tearing down the building while the fuel pool is still in use. So there has to be at least a five-year delay between plant closing and the beginning of major decommissioning work. Therefore, there will be a gap of several years in the economic activity around the plant. Some comments basically said: "I am not a nuclear engineer, but they can start decommissioning sooner." I encourage you to read the comments themselves. I have my answer to these comments below. I have added subheadings (in bold) that weren't in my original answer. Hopefully, these subheadings add to readability. You say you are “NOT commenting on how or when decommissioning needs to be done” yet you seem to think it can begin immediately, despite the requirements of the operating fuel pool. Sounds like you actually ARE commenting on how and when decommissioning can be done. You give the impression that if Entergy doesn’t start decommissioning areas other than the fuel pool immediately, Entergy is stalling. Actually, this is not the case, in my opinion. In general, the nuclear industry is very conservative about decommissioning. You might think: Hey, they can always start by tearing down the office building, no big deal. Actually, the industry shows itself quite reluctant to begin big deconstruction/decommissioning projects in close proximity to active nuclear plants (or actively maintained fuel pools that can’t be isolated easily). This is basically a safety precaution. For example, Indian Point 1 ceased operation in 1974. It is in close proximity to the operating plants Indian Point 2 and 3. Indian Point 1 is in SAFSTOR, which is safer than attempting to tear it down while it shares the same area with active plants. Similarly, Dresden 1 was shut down in 1978, and is right next to Dresden 2 and 3. Millstone 1 ceased operations in 1998, and is close to the operating plants, Millstone 2 and 3. Dresden 1 and Millstone 1, like Indian Point 1, are also in SAFSTOR. 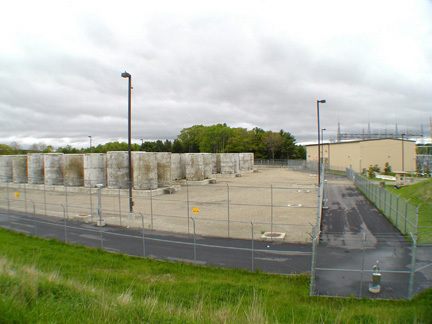 Considering the position of the fuel pool at Vermont Yankee, I would expect the owners to do nothing on site (except perhaps move some of the fuel to dry casks) while that fuel pool needs to be maintained. That’s the conservative way. I frankly have no particular opinion on when they move some of the fuel from the fuel pool. They can’t finish moving the fuel out of the pool for five years, and nothing much else can happen on site while the fuel pool is in active service. Or rather, in my opinion, nothing much SHOULD happen on site while the fuel pool is in active service. Similarly, I think it would be a bad idea to decommission Dresden 1 while still operating Dresden 2 and 3 right next door. No doubt, someone is going to say: “They dismantled Maine Yankee quickly! So what’s the problem here?” Well, Maine Yankee was a PWR with the fuel pool in the basement of a building that was comparatively easy to isolate. Vermont Yankee is a BWR with the fuel pool in a position that is not easy to isolate. 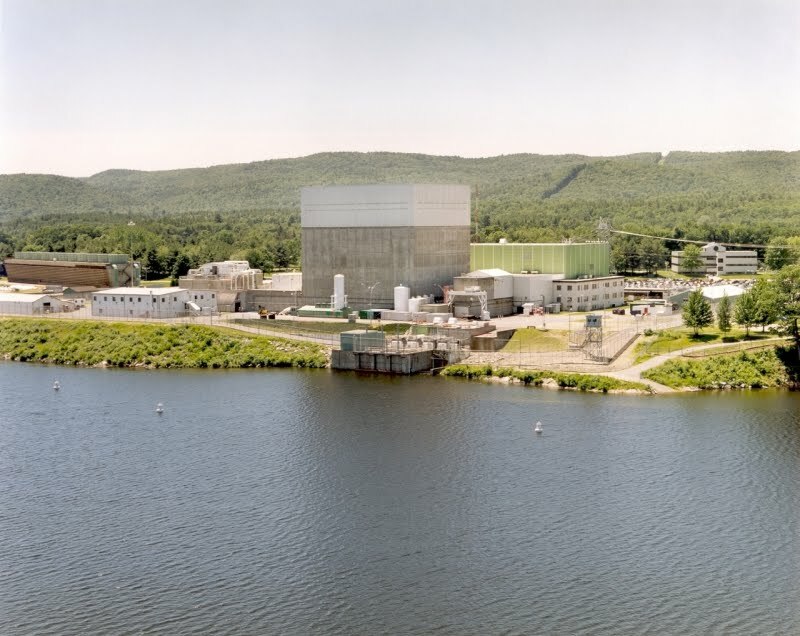 Waiting five years to begin serious decommissioning is the safest and most conservative way to proceed with the Vermont Yankee plant, and this has nothing to do with money. About the workforce. Alas, decommissioning rarely uses very many members of the original workforce. The decommissioning jobs include chemical cleaning and deconstruction. These are not the same skills as running the plant. As others have noted, for decommissioning, teams of contractors with either specialized skills (chemical cleaning) or moderate skills in the building trades (deconstruction) do the jobs. In many cases, a decommissioning contractor is hired by the utility, and that contractor hires the teams. EnergySolutions is one such company, but there are others. The people at the plant will be laid off, and there will be few of them involved in decommissioning. That is what has happened at other plants also. The opponents of Vermont Yankee do not want to admit this, because otherwise (conceivably) they would feel guilty about causing their neighbors to lose their jobs. But all their sweet sayings about “hoping the good people at VY will continue to work” doesn’t change reality. Decommissioning is almost completely done by teams of outsiders, no matter when decommissioning is done, early or late. That is just the way it is. I have more explanations and some links in this blog post, including some workforce analysis from the Maine Yankee experience. I have written other blog posts on the subject also: you can search my blog for “decommissioning” in the little keyword box at the upper left. The state of Vermont and Entergy Corporation have been battling each other for years, but the two parties reached an agreement in December about the future of Vermont Yankee. Entergy has owned and operated the 42-year-old nuclear plant in Vernon since 2002. When Entergy announced plans to close the plant by December 2014, the state, which has passed laws aimed at preventing the plant from operating, seemed surprised. It also lost some negotiating leverage. Even so, the settlement, which the Vermont Public Service Board must still approve, is a good deal for Vermont — better than I thought possible. 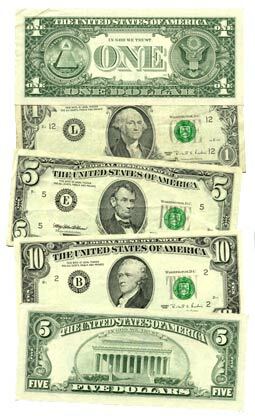 Let’s take a look its four main points: the Certificate of Public Good; pending lawsuits; payments; and decommissioning. The Certificate of Public Good: In 2012, the Nuclear Regulatory Commission renewed Vermont Yankee’s federal license for 20-year-period, through 2032. However, to keep operating for that period, the plant also needed state approval, specifically a Certificate of Public Good from the Public Service Board. The Shumlin administration vigorously opposed granting such a certificate, and used the state approval process to try to force the plant to shut down when its original license expired. Now that Entergy has amended its petition to operate only through the end of this year, not through 2032, the state will be on Entergy’s side before the Public Service Board. Lawsuits: The main federal lawsuit hinged on whether Vermont interfered in the federal regulation of nuclear safety. In both district court and in appeals court, Entergy won its case, arguing that the Legislature attempted to regulate nuclear safety when the state Senate voted in 2010 to deny the plant a certificate of public good. Nuclear safety, like airline safety and drug safety, is regulated at the federal level. Though Entergy won its case, both Vermont and Entergy conceivably had grounds to appeal to the U.S. Supreme Court. Now, according to the agreement, neither side will appeal. I suspect both sides breathed a sigh of relief. The agreement also settled another lawsuit about a new “generation tax.” The state had raised the generation tax on Vermont Yankee to $12 million a year. This is a tax paid by Entergy for every kilowatt-hour that the plant generates. However, the higher tax rate applied only to power plants that were built after 1965 and were larger than 200 megawatts! Of course, there’s only one such plant in the state, and Entergy quite reasonably felt targeted. In the agreement, Entergy agreed to drop this suit and to pay the $12 million for 2014. Payments: Entergy agreed to pay more than the new generation tax. In 2015, the plant won’t be generating any power, so Entergy won’t be required to pay the generation tax. However, Entergy agreed to pay the state $5 million in 2015, to help the state as it deals with the loss tax revenue Vermont Yankee generated. Entergy also agreed to other relatively short-term payments: a payment of $5 million to the Clean Energy Development Fund, and a further payment of $2 million a year for five years to help Windham County adapt to the plant closing. In his address on the state budget, Gov. Peter Shumlin mentioned “one-time payments” from Entergy as part of his plan to close the state’s budget gap. The state appears to have won the financial negotiations. However, the plant closing means that $60 million a year in payroll will disappear from the local economy. These payments hardly begin to close that gap for Vermont and neighboring states. As I have said before, it would have been far better if the plant remained open. Some people say that decommissioning will be a similar boost to the local economy, but it won’t be. Not in the next few years at least. SAFSTOR, decommissioning can take up to 60 years but it could also be completed sooner. The state wanted to decommission the plant sooner, much sooner — immediately, as a matter of fact. However, in the course of the negotiations, I suspect the state learned some facts about decommissioning. Decommissioning cannot start for six or more years after the plant is closed. After the plant is shut down, the last fuel from the reactor is placed in a spent-fuel pool. This fuel must cool in the pool for five years before it can be removed and put into dry-cask storage. In plants such as Vermont Yankee, the fuel pool is in the same building as the reactor. You can’t begin tearing down the building while the fuel pool is still in use. So there has to be at least a five-year delay between plant closing and the beginning of major decommissioning work. Therefore, there will be a gap of several years in the economic activity around the plant. In the agreement, Entergy agreed to move the fuel from the pool in a timely fashion. In the press conference about the recent agreement, Shumlin said that all fuel bundles should probably be moved into dry cask storage within about seven years. Other major decommissioning work can begin after the fuel is moved to dry casks. The decommissioning fund is around $580 million now, and decommissioning is estimated to cost between $600 million and $1 billion. Entergy agreed to start full decommissioning when the fund is large enough to to pay for the job. (Federal rules for SAFSTOR stipulate that owners can wait up to 60 years to complete decommissioning, no matter how big the fund.) Entergy also agreed to put $25 million into a separate fund for “greenfielding” the site. Greenfielding generally involves excavating, grading and seeding. Of course, not everyone is happy with the agreement. Opponents loudly insist that decommissioning must start immediately (it can’t), and others worry that it will take years for Entergy to have enough funds to start decommissioning. The definition of “greenfielding” is also contentious. Even so, the agreement is a major step forward in what has been a hard battle between Vermont Yankee and the state. Both are arguing in favor of this agreement before the Public Service Board. That’s quite an unexpected development. Either side could withdraw from this agreement if the Public Service Board does not approve it by March 31, however. The board is now considering this plan, and the public comment period is still open. At the PSB website, you can read docket 7862 and write your comments. I encourage you to do so. Here is a direct link to the comment form on this docket. When reading docket 7862, you will note that there are two major document filings: the Memorandum of Understanding and the Settlement Agreement. The Settlement Agreement is the agreement between Entergy and the state agencies, while the Memorandum of Understanding is the part of the Settlement Agreement that lies within the jurisdiction of the Public Service Board. The Board will rule on the Memorandum, but the Settlement Agreement was filed for informational purposes. The article above is an op-ed that I wrote (plus a short end section on links). The op-ed has been published in the Valley News, True North Reports, and Vermont Digger. It may also be published other places in Vermont. The 196th Carnival of Nuclear Energy Bloggers is at the Energy Reality Project blog this month. I don't usually call out the Carnival as a post at this blog, but this is the first time the Energy Reality Project has hosted it. You just have to love a site with the motto: 4.5 Billion Years of Reality Continues. I encourage you to read the Carnival, which includes James Conca at Forbes on "Do We Really Need Fusion Power?" 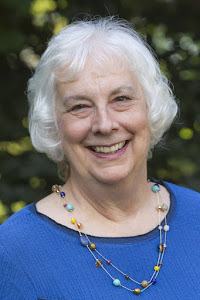 Margaret Harding at her own blog on "Kill the Goose that Lays the Golden Egg" (about Vermont Yankee! 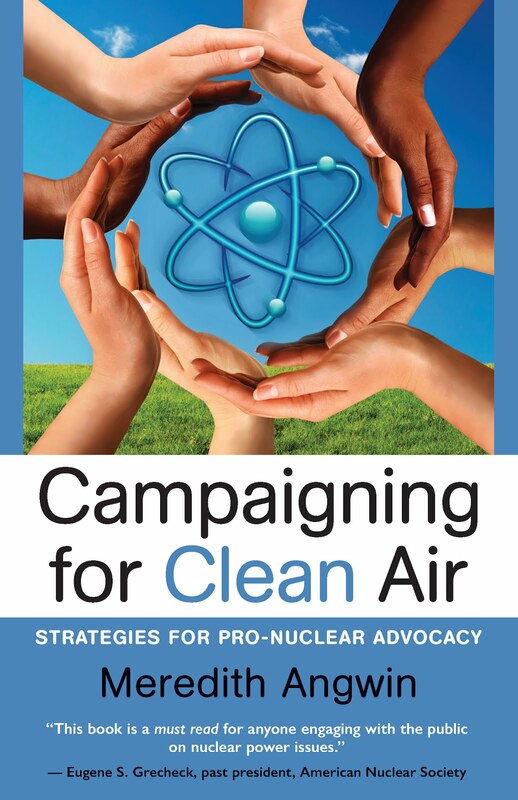 ), Rod Adams at ANS Nuclear Cafe on "How Can We Stop Premature Nuclear Plant Closures" and Leslie Corrice at his blog on "Background Information on Tritium." And there's more, of course! 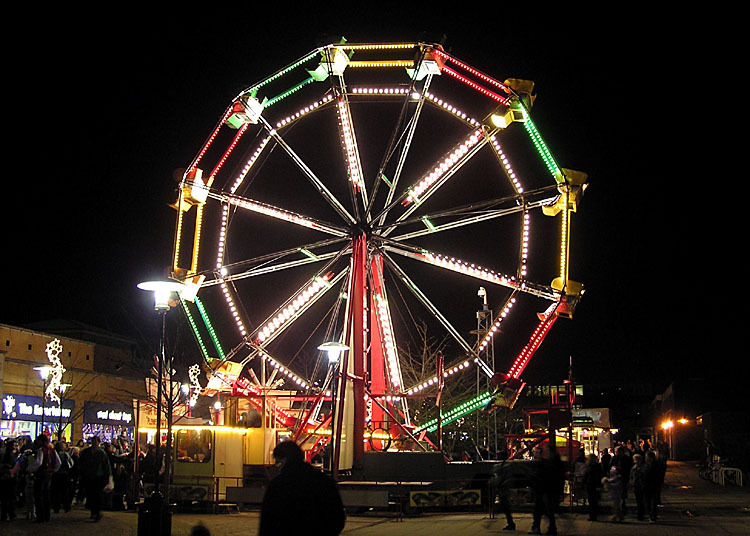 Visit the Carnival! However, I also want to introduce you to the Energy Reality Project itself, founded by Rick Maltese. The Project site a compendium of links and up-to-date information, a blog and more. What's the "more"? The "more" is that the Project is more than a website. You can join the Project: it now has members all over the world. Future plans include linking members together in their geographical areas. In other words, a real grassroots movement for energy sanity. Note: This week, I am busy with a cheerful family visit. I expect to have very few (possibly zero) blog postings. Two videos today. A snarky video debunks fear-mongering. A sincere video is about love. Let's start with the snarky video. I want to introduce you to Thunderf00t, maker of in-your-face videos laughing at people who are reality-challenged about radioactivity. This is a typical video. Unfortunately, half his videos seem to be pro-atheism, and they make fun of religion. When he makes fun of the religion "nuclear is the worst thing in the world," I am okay with that. "Anti-nuclear" is a religion of sorts, in my opinion. However, when Thunderf00t makes fun of regular religions-- well, I believe in free speech, but I don't like the videos. Just sayin'. Do watch his pro-nuclear videos. "Fukushima mutated my cat" is one little Valentine present to those who read the blog. My husband sing in a Barbershop group. So, as usual, I am spending Valentine's Day alone while he sings love songs to other women. Okay. Don't feel sorry for me. We had our fancy dinner with red wine and a terrific box of chocolates last night. That is pretty traditional, for the wives of men in Barbershop groups. A video of sweet love songs is my other little Valentine present to those who read the blog. This Sunday, my op-ed on the Vermont -Entergy agreement was printed in the Valley News. I will reprint the op-ed on my blog in a day or so. For now, I encourage you to read it at the Valley News. I encouraged readers to support this agreement before the Public Service Board by commenting on the docket. And here's the docket, where you can read the agreement and you can comment. Aww heck...here's the comment form, too! Entergy settlement before the PSB is good for the state. The Valley News does not allow comments, but VTDigger often has long comment strings. I encourage people to comment. Vermont Yankee will close late this year, but the region still needs energy. Other plants are also closing, due to the low natural gas prices: Brayton Point, Salem Harbor and more. As AP's Stephen Singer wrote: New England power plant closings pinching supply. As Susan Smallheer wrote in the Rutland Herald: New England electricity glut a thing of the past. Meanwhile, as Jim Conca (and others) reported, the gas pipelines couldn't carry enough gas to New England during the cold weather, and energy costs soared. But heavens! Let's not talk about energy! Let's talk about some real problems, such as the state's current problems funding the Clean Energy Development Fund (CEDF). By law, Vermont Yankee was forced to contribute tens of millions of dollars to CEDF. But Vermont Yankee is going away. In a recent agreement with the state, Vermont Yankee agreed to put a final five million dollar payment into CEDF. But that will be the end of the Vermont Yankee contributions. about the situation. In Vermont, something will always be done if favorite government subsidies look like they might run out of money. At least, that is my opinion. Vermont will soon no longer have Vermont Yankee, but what do we have? Well, we have gas pipelines, and we have schools. 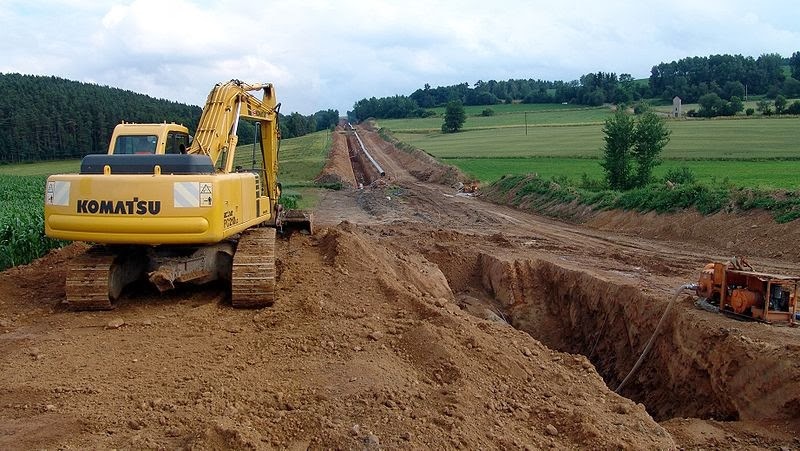 As a matter of fact, a new gas pipeline is being built in western Vermont, though many (but not all) local people oppose it. So the latest proposal to raise money for the CEDF is a combination of taxing gas pipelines, and diverting some school tax money to the fund. Vermont Digger reports on the most recent bill to raise money: Shift in Pipeline Taxes Proposed to Fund Clean Energy Projects. Vermont Gas Systems, a division of Gaz Metro, is a regulated utility. From the state's point of view, taxing Gaz Metro's gas pipelines has many advantages over taxing Entergy's Vermont Yankee. Vermont Yankee had to pay its taxes from the money it could generate as a merchant plant. Vermont Yankee could not raise its prices just because its tax burden had risen. So if the taxes rise too high, the plant would lose money and go out of business. Not so with a regulated gas pipeline. They can raise quite a bit of money. 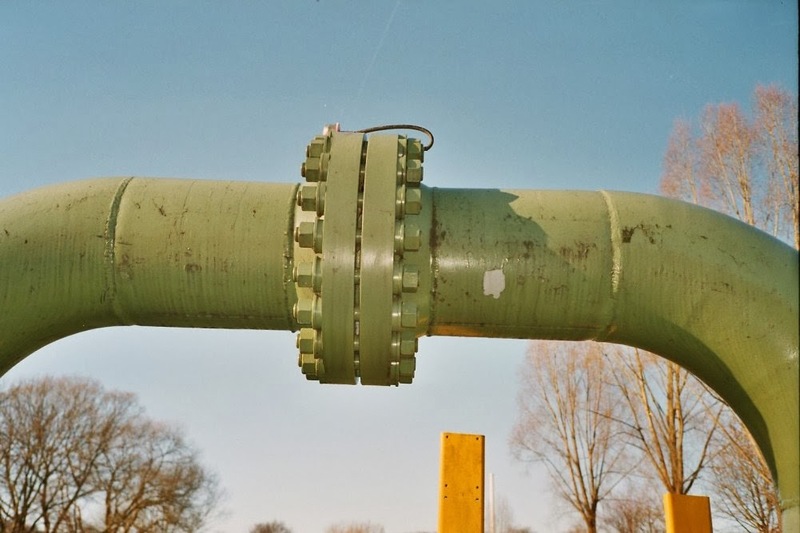 If taxes or depreciation rules increase the cost of running the pipeline, or if the price of natural gas itself goes up, the regulated utility does not suffer. It does not go out of business. It just asks the Public Service Board for a ruling to increase the rate that it charges to customers. When the utility shows a cost increase to the Board, a rate-increase ruling is practically guaranteed. This makes taxing a gas pipeline a very good choice for raising revenues for the state. It helps the Clean Energy Fund, it doesn't hurt Gaz Metro, so it's a good thing all around. Well, it's a good thing most of the way around, perhaps. 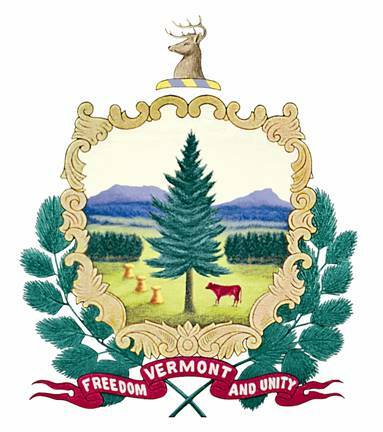 Pass-through taxes might hurt the Vermont citizens who have to pay those increased rates. That might be something to think about. There are other pipeline taxes under consideration, but those will be a subject of another blog post. Guest Post by Bas Gresnigt. German Energiewende: Reasons, Methods, Results. A few days ago, I posted The German Experience: Seen by Environmentalists, and Seen by Nuclear Opponents. Within that post, I included a part of a comment by Bas Gresnigt (he made the comment on Rod Adams blog). He said that Energiewende is a success, and he included a target priority list of the Energiewende to support his statement. I included this list in my blog post. The top of his list was that shutting down the nuclear plants is the first priority of Energiewende. Gresnigt and I exchanged emails: he felt that having this very short list on my blog did not present an accurate view of his thoughts. I agreed with this assessment. My blog is not about "equal time for all," but I decided it would be worthwhile to have a guest post by Gresnigt about the Energiewende. In this post, he is able to express his ideas, include links, and so forth. I must stress that this post expresses Gresnigt's opinion, not my opinion. My own opinion is shown in my post on the German Experience. Update February 6: Comments are closed. I will not be publishing more comments on this post. With more than 25 comments, from both sides of the fence, several of my regular readers asked why I was still publishing comments. Indeed, the comments were getting more and more angry (in my opinion). "Why was I still publishing comments?" I didn't have an answer to that one. So the comments on this post are now closed. Romanticism was rooted in Germany (~1800) and still is a factor in the German worldview. Romanticism supports (grand) ideas to elevate society and legitimizes individual ideas as a critical authority. 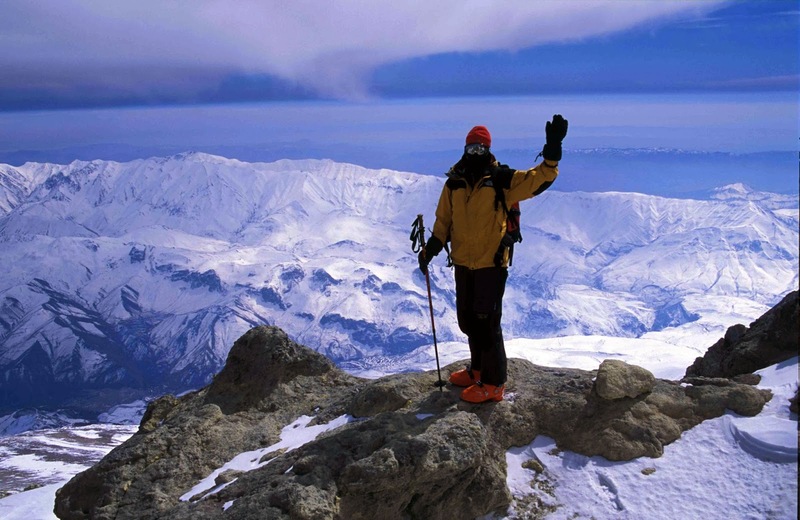 It also includes a strong belief in the importance of nature. In line with this philosophy, ideas about building a sustainable society got strong support in Germany in the 1960s. A sustainable society leaves the earth in the same (preferably better) state for the generations after us. Since we now consume nature's reserves and cause pollution, romanticism is an invitation for individual action. When Nuclear Power Plants (NPP's) were introduced, they generated questions regarding the waste and accidents. Experts assured people that there would be no accidents and that the waste could be stored safely in the salt layers 600m below surface. In 1973 with the start of the construction of the fast breeder in Kalkar, green experts calculated that it may escalate into a small atomic bomb like explosion. The debate left some doubt about the assurance that such an explosion would be impossible. So the Germans, being more inner-directed than e.g. Americans, took action with among others huge demonstrations (~150K people) and near war-like fights. The explosion at Chernobyl in 1986 killed new nuclear politically as the Germans felt the effects, despite being ~1000 miles away. 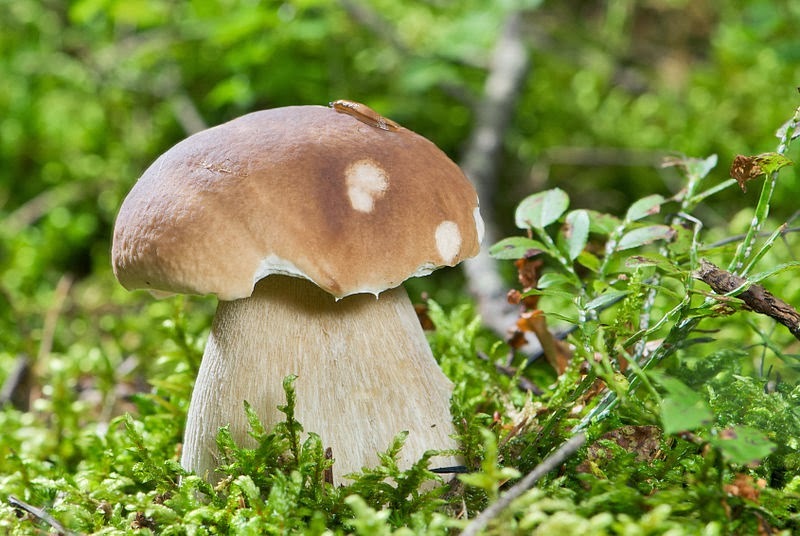 There were more birth defects, eating mushrooms from contaminated woods was forbidden (eating those mushrooms still is forbidden), etc. Furthermore, some people in Germany had contacts in the Chernobyl regions, where there are old German farmer communities. Therefore the statements of IAEA/WHO made no impression. Instead, many people believe that there will be as many as one million deaths from Chernobyl in the period until 2100. Some of these ideas are supported by research results. Some estimated that there might be millions evacuees if (for example) the Fessenheim NPP would explode. Chernobyl generated a decade-long debate regarding how to continue with electricity generation. As parties realized they needed a common base, many consultant studies were done in order to find the real facts and agree on the best scenario to continue. In 2000, the government agreed on the present Energiewende scenario; 80% renewable energy in 2050, all NPP's closed before 2023, and intermediate targets as the scenario spans 50 years. The scenario was based, among other things, on predictions that solar and wind would become much cheaper when the market would expand (more research, production automation, etc) and that substantial energy savings are possible without losing personal comfort. Population support was ~55%. When Merkel got a coalition with the conservative FDP in 2009, she was stimulated to postpone the closure of the 17 remaining NPP's. After long hesitation she stated in the autumn of 2010 that nuclear energy was a bridge technology until renewable could take over, and postponed the closures with ~12years. No new NPP's allowed. After that decision her popularity fell (Energiewende support was then ~70%). A few months later, Fukushima saved the day for her. She closed 8 older NPP's (some earlier than in the 2000 agreement, for which government may have to pay compensation) and re-installed the full Energiewende scenario. The FDP, which initiated the NPP closure postponement, paid with a historic defeat at last autumn's elections. It had held ~16% of the seats, but it is out of parliament now. The FDP had been in parliament since its foundation 60 years ago. Merkel now has a coalition with the socialists (SDP) and agreed to increase some renewable targets slightly. In 2025 45% and in 2030 not 50% renewable but 55-60%. She refused 90-100% renewable in 2050 as there is no clear scenario including costs for that (yet). The optimal 100% renewable-energy scenario is under discussion and research by German scientists. Debate is about the best scenario and how fast (2050 or 2060/70). – They stated that the waste would be safe in stable salt layers 600m below surface. German tax-payers now face a multi-billion bill because that layer started to leak and the stuff has to be excavated. – They stated not possible with safe western designed and operated reactors...until Fukushima happened. – Everybody is convinced that with the increasing share of renewable (~2%/yr), CO2 will decrease further. Which decrease will accelerate after the closure of all NPP's. – Germany surpassed the Kyoto targets already greatly (-27%). And many countries are even above the 1990 Kyoto reference level (USA about +10%). The major utilities now pay for their perseverance to continue building NPP's in the 1970/80s against public opinion. This cost them public sympathy. The Energiewende favors small renewable-energy installations by citizens, farmers, etc. Many (~100) new utilities have been founded by villages and cities such as Munich. Nearly all these new utilities deliver 100% renewable electricity. Hence the incumbent utilities lose market share, and have no bright future now. So they generate public campaigns such as the outcry in Brussels last October about grid stability, even while they are not responsible for it. Grid owners/management operating under the directions of the regulator are responsible. I also see many nonsense publications, such as this one at Bloomberg. These articles create many of the misunderstandings in English speaking countries. Grid reliability increased greatly. The average total down time per customer connection was 30min/year. Now it is 15min/year in Germany (Netherlands still 30min/year). The costs of the Energiewende are closely monitored, as those are important for public support. At the moment they are ~€250/year per household, which is less than 1% of household income. Scientists and Merkel predicted small cost increases, and after ~2023 decreases. The Feed In Tariff (FiT) for older solar and wind installations will disappear and their power will be sold at market prices, while the FiT for new installations will be very low. The FiT for big solar is now €9.5cent/KWh and €13.7cent/KWh for rooftop. In 2013 the German average whole-sale price was €5cent/KWh. This price is lower than the wholesale prices of France and UK. There is no real indication that any German industry considers moving out of Germany because of electricity prices. Change towards flexible plants It is better for wind and solar to continue full delivery even if the price is €1/MWh. But for power plants that price implies losses that are bigger if they cannot down-regulate output fast and deep. So baseload plants are replaced by flexible plants that can also burn mixtures of lignite/coal/biomass/waste/biofuel. Burning biomass/waste/biofuel gives them a future in a 100% renewable society. Due to the low temperature burning of the circulating fluidized bed process, those new plants also produce less toxics (less filters needed) and are far more efficient (greater than 50%), which also implies less CO2 (still ~30% more than gas). As the new plants are situated at open lignite mines with transport by conveyor belt to the power plant, these plants have very low costs. Germany reached the intermediate targets (now renewable produce ~23% of the electricity). No doubt that the targets will be reached, as the scenario is clear and support overwhelming. 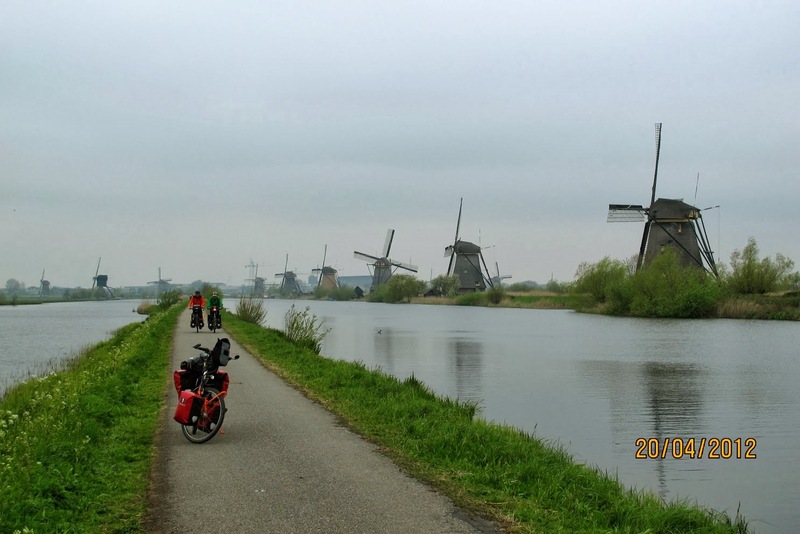 During my last biking tour, Germans considered it self-evident. The major steering mechanism is the fixed Feed-in-tariff (FiT) during 20years (solar) or 15years (wind) for new installations. So investors (households, farmers, etc) can trust that they will earn a profit of ~6% with their investment and may hope for extra profit after the FiT ends. In 2011/12 the pricefall of solar was such that it delivered ~7GW/year new installations despite a 50% lower FiT. As that may create grid instabilities (grid upgrade is slow), the solar FiT for new installations is now lowered every month and the scheme is adapted every quarter so the targeted installation rate of ~3GW/year is reached. Several institutes monitor the Energiewende and study methods for further development. – The Fraunhofer institute, which shows overviews, and reports about progress. – Agora: Scientists that study options. Alexander Glaser from Princeton University wrote a longer overview of the Energiewende. Bas Gresnigt is a Dutch international consultant/project manager operating in the telecommunications sector. He worked in Germany, USA (only for a short time), and many other countries. He visits Germany about three times a year. 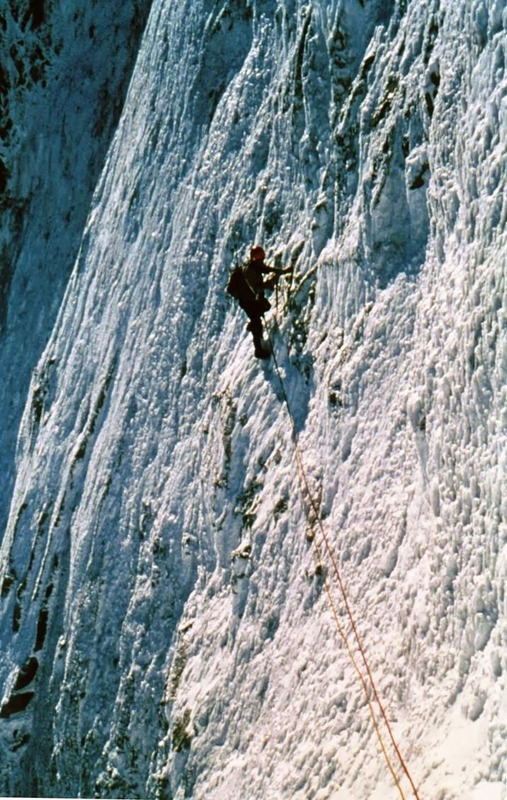 Gresnigt is devoted to nature and the outdoors. I had seen some of his photos, and I asked him to include some pictures of his adventures on this blog post. "There's a great deal of unreasonable exuberance about fracking. However, shale gas is not going to be cheap and abundant. It is not going to save the U.S. economy." 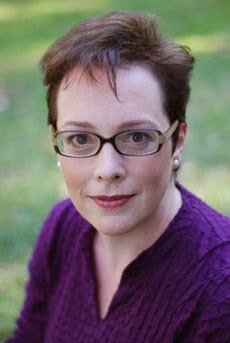 Meadows is co-author of the book Limits to Growth, and was active in the Club of Rome project at MIT in 1970-1972. (Information from Wikipedia.) However, this seminar was supposed to be mostly about fracking, and that was why I attended it. In the first half hour, he says that fracking is oversold, but spend most of his time on models and limits-to-growth. At around 29 minutes, he gives some numbers about coal and nuclear which do not jibe with my experience of those two technologies. Starting around 30 minutes, he discusses fracking. He provides slides of typical well profiles and field profiles. The wells have lousy profiles, and the fields become "middle-aged" (best areas have been drilled and are declining) within a short time, maybe ten years or so.This isn't a century worth of cheap gas. Zinger in the video: There's a very interesting section at the fifty-five minute mark. Meadows asks a rhetorical question: "If fracked gas is so bad, why is everyone so enthusiastic about it?" His answer is that the enthusiasm is based on the idea that everyone in the gas industry has an incentive to lie about the situation. Quite a strong statement! Therefore, the question arises: if I didn't believe Meadows assessment of nuclear or coal, why was I believing him on the future of fracked gas? Was I just a victim of confirmation bias: "He's finally saying something I agree with, so he must be right"? I try to check my biases at the door, when possible. Therefore, I emailed Meadows and asked him for the source of his slides on fracking. Meadows was kind enough to send me the major source that he used for fracking information. This was a set of slides on The Shale Revolution (I link to it there...it is a long pdf of slides) by J. David Hughes of the Post Carbon Institute. Hughes article of the same title was published in Nature Magazine, which is a very reputable source. Now, the Post Carbon Institute is pretty much what you would expect it to be, including Bill McKibben as a member. Still, what I wanted to do was simple: I wanted to judge the credibility of Hughes fracking slides. I judged them to be completely credible. In the Hughes slides, I saw well profiles of the type I have seen in many articles about fracking: 80% decline in well productivity within about three years. I also saw whole-field profiles about well-drilling and production: these slides matched what I have read about drill counts, etc. According to the notes on his slides, Hughes slides were assembled from data that came from a very reputable source, DrillingInfo (data at this site is behind paywalls). So, for me, this was a credibility gap resolved. Whatever Dr. Meadows said in the rest of his talk, his section on the future of fracking was well-researched and credible. There isn't a century of cheap abundant shale gas. It's a bubble. Meadows talks more about coal, but I disagree with him. For example, around the 29 minute mark Meadows says (or implies, his words are not clear) that we pulverize coal as part of pollution control for coal. That if we just shoved it in the furnace we would have a better energy-return-on-investment. Not really. We pulverize coal for a very practical reason: pulverization allows us burn it hotter and get more thermodynamic efficiency out of the system. Stoker systems just don't burn as hot, and that old efficiency equation still holds. Meadows also claims that coal clean-up brings the energy-return-on-investment for coal down from 80 to 10. (His slide 12) As someone who worked in coal clean-up and taught the All Around the Coal Boiler Course...this is just not right, in my opinion. There is a significant parasitic load of various types with coal cleanup, but it doesn't cut the coal energy output to 1/8 of what it would otherwise be. Meadows has been good about answering questions, so I should probably ask him about his basis for the coal numbers. But my interest was the future of fracking, not about his assessment of coal, nuclear, wind, Malthus etc. So I only asked him about the sources for his fracking information. He was good about sharing this information, and I am pleased to share it with my readers. Meadows seminar confirmed much of what I have been predicting about fracking. When I first started at EPRI, I was in the geothermal group, which was part of the Renewable Resources division. I often found myself in a small group of people attempting to evaluate a "new" type of geothermal resource. Our group looked at the Los Alamos Hot Dry Rock Project and at the geopressured zones near the Gulf of Mexico, among other areas. All things otherwise being equal, a more expensive well produces more expensive fluid. A well with poor permeability can be fracked to produce more fluid, but you will have a better well (producing more fluid overall) if the well itself has good permeability. How does this relate to fracking? Well, drilling a horizontal shale gas well is more expensive than drilling a conventional gas well. Also, the need to frack the shale shows the original permeability is low. So I expect shale gas to be basically more expensive than "regular" gas. Imagine my surprise to find people who are convinced that shale gas is cheap now, and going to be cheap and abundant forever! Whenever I objected to this scenario for the future of gas prices, people looked at me as if I were crazy. Some said that I just want nuclear to be the low-cost provider so I'm hating on shale gas. No. Expensive wells with poor production profiles (shale gas wells) make expensive gas. We're in a low-price gas bubble now, but the bubble and the low prices are unlikely to last. In other words, in the shale gas overview, Dr. Meadows and I agree.